Now landing in the market for our Max 2 dual motor version . 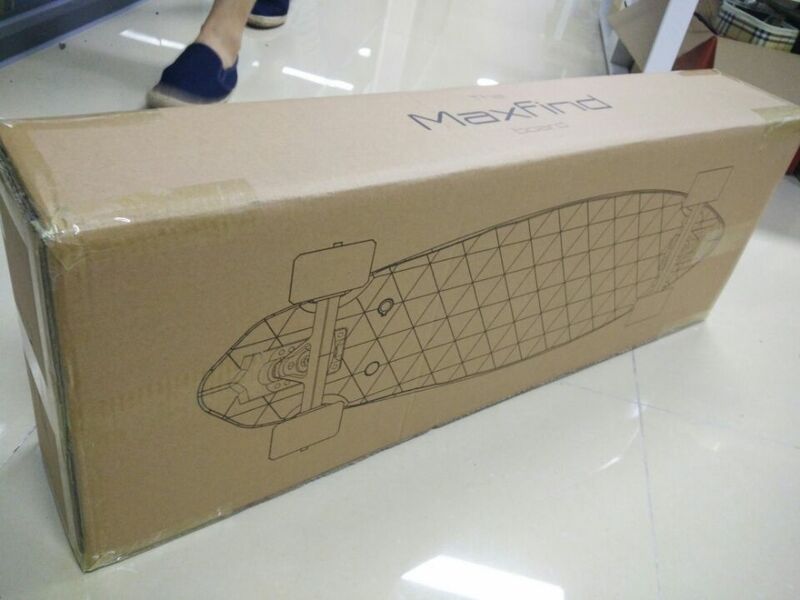 In April of this year, we released an electric skateboard Max 2 at the Hong Kong Global Sources Electronics Show. 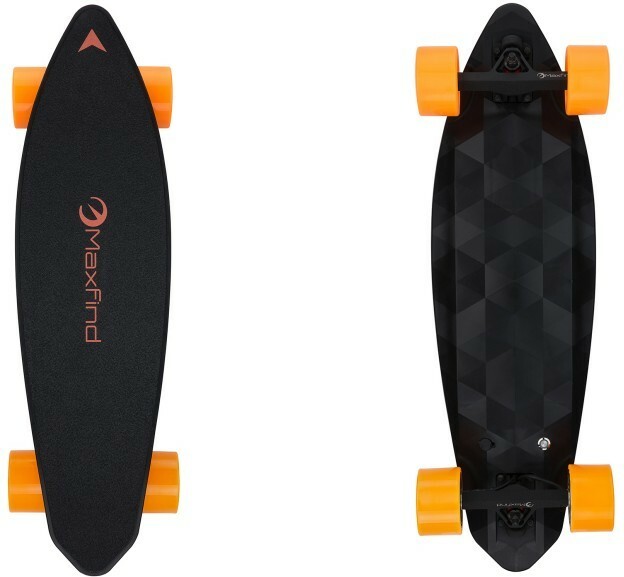 Just a few days ago, the Max 2 electric skateboard was officially opened for sale. 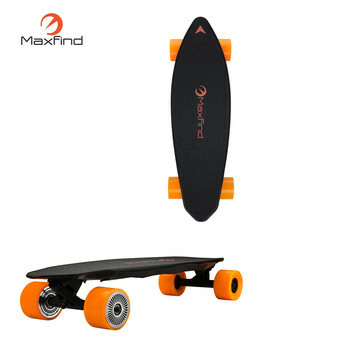 Compared to Maxfind's existing electric skateboards,(Max A/Max B/MaxC) Max 2 has greatly improved its functionality and performance. 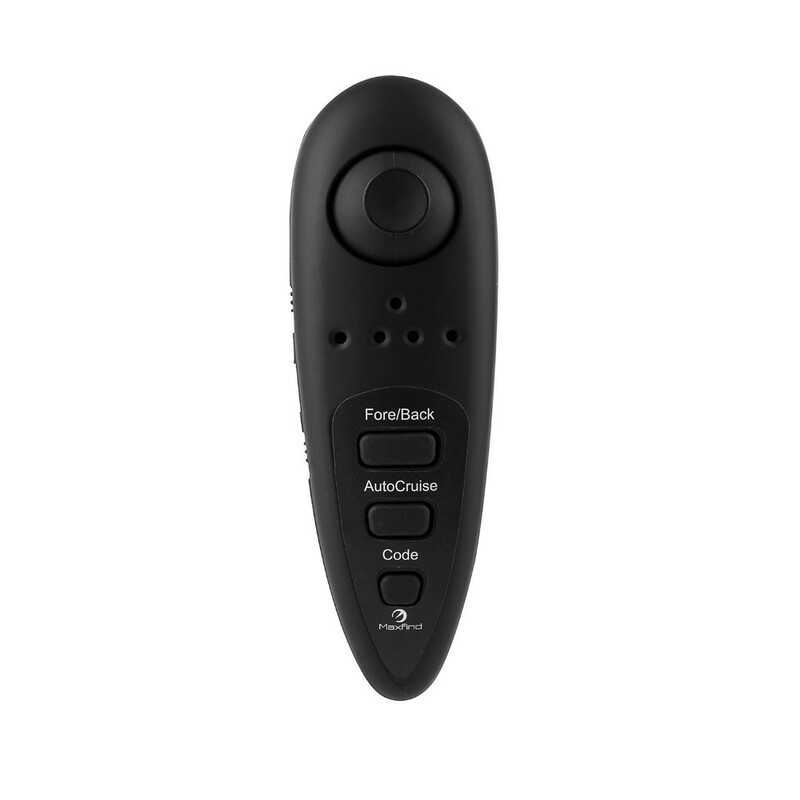 Max 2 has a smart brake, strong power life, and wireless control. It's a real "foot" to use on the road. 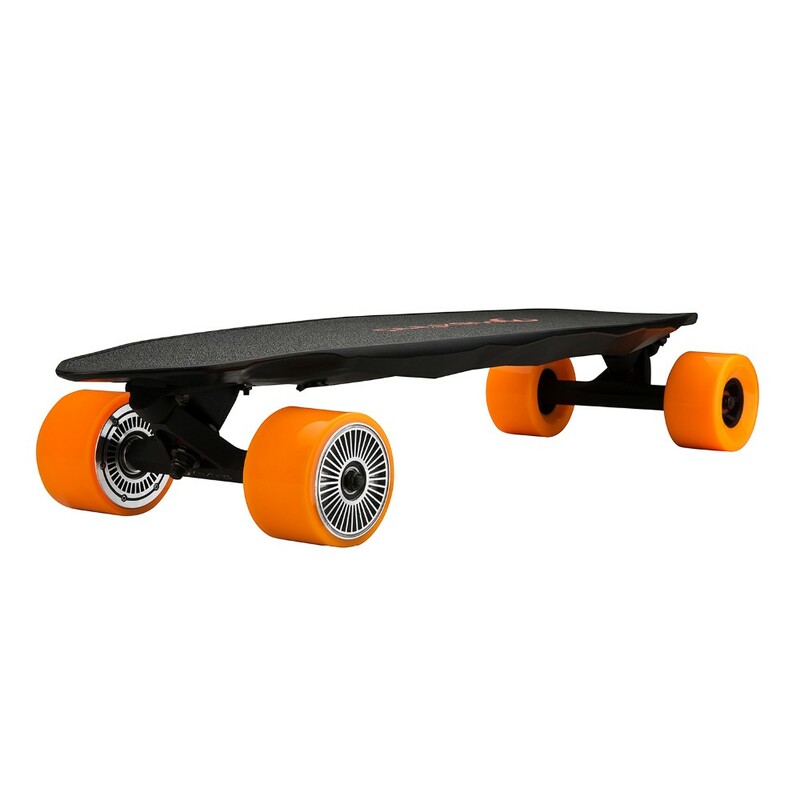 The Max 2 uses a nickel-plate connection and an integral holder design to make the skateboard battery more stable in severe vibrations. In terms of power life, the Max2 uses a deeply customized LG battery and the cruising range is extended to 28 kilometers. nickel-plate connection and an integral holder design to make battery more stable .20 pieces of LG battery , 10S2P model . 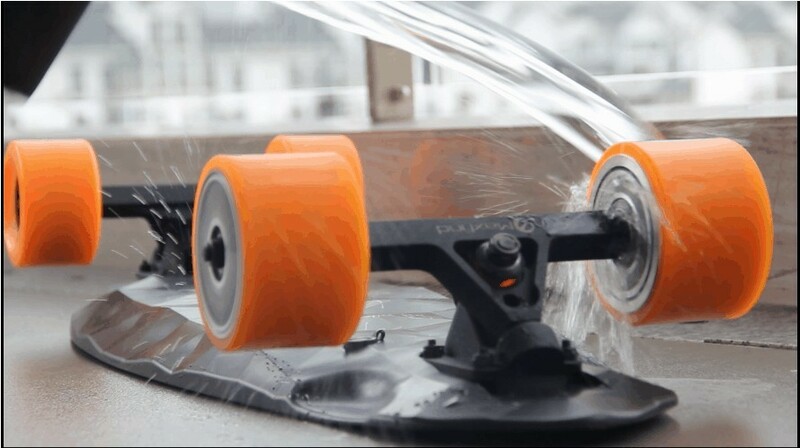 With Max2's Motor waterproof function ,even if it is in rainy days, you can go out , ride it and enjoy the rain. * Powerful Dual drive motors (500W*2). 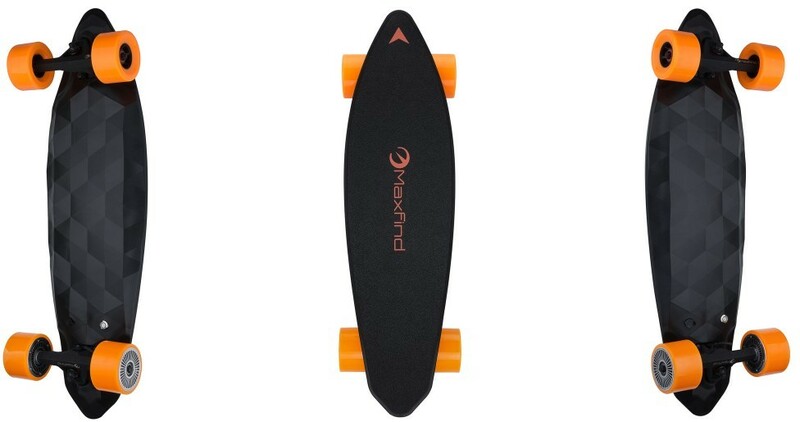 * Unibody design , and waterproof. 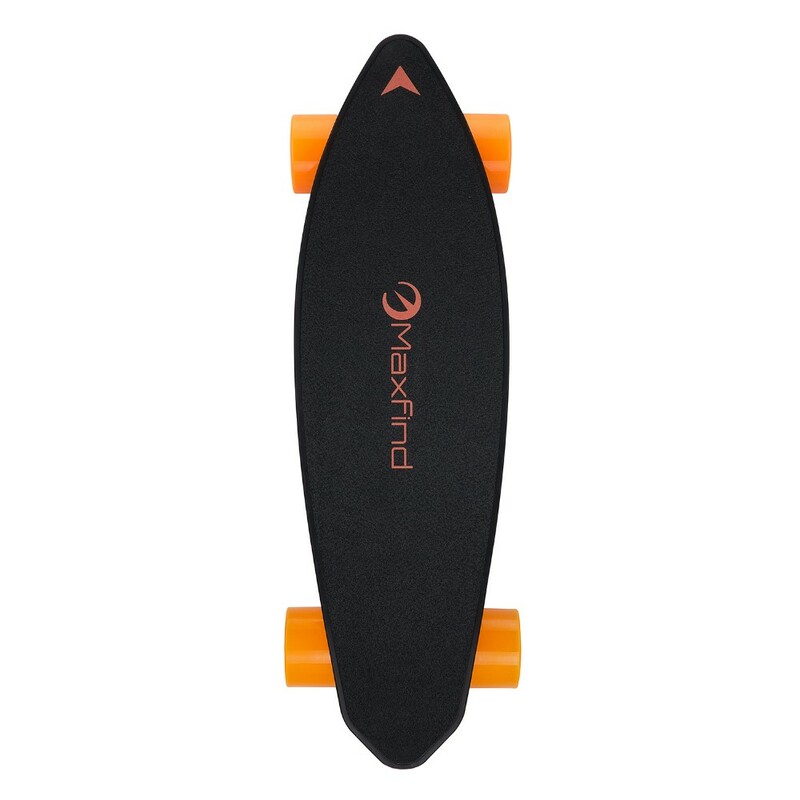 *Max Speed : 36KM/H (23mile/H) . * With wireless remote controller. In terms of coasting stability, we have also made a unique design. 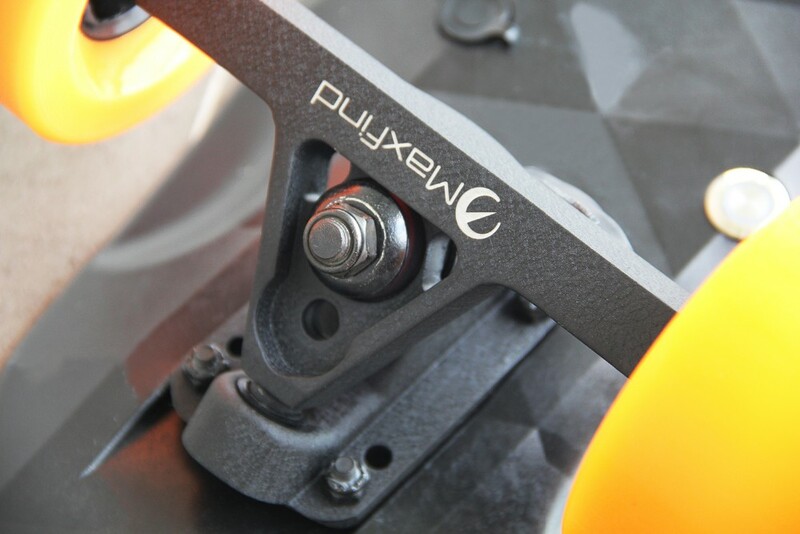 Compared the Max C plate surface , Max 2 add only 10cm , but the axial length ratio has been increased from 60% to 70% , it has plenty of room for footwork, making it easier to control the center of gravity at high speeds. 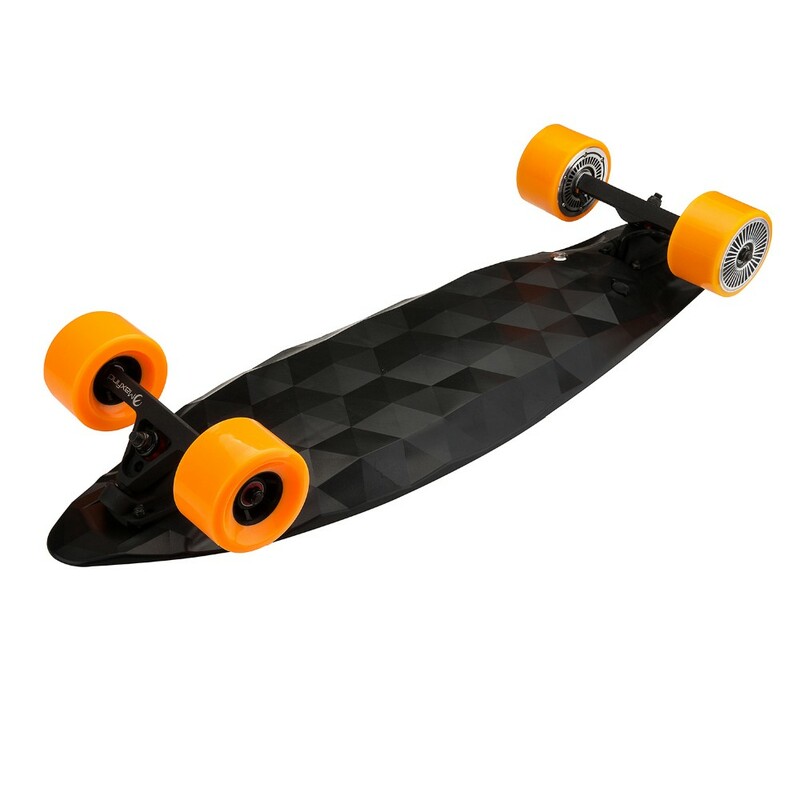 Max 2 has not choose traditional wooden board surface , what we choose is the least dense (the lightest weight in the same volume) pp material in plastic, and adds glass fiber to ensure sufficient toughness. After our actual measurement, static load exceeds 150kg . The diameter of the pulley is increased to 90mm, using high-density polyurethane (pu) material and hourglass design. The pulley is very wear-resistant and non-slip, and it has a certain damping effect. 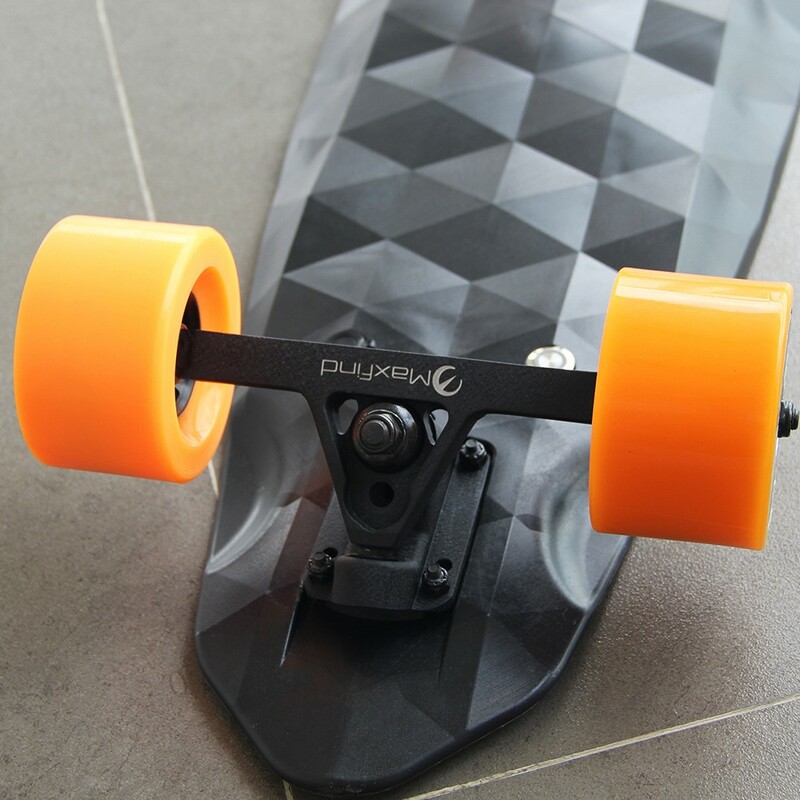 The design of the Max 2 out-of-axis bracket can effectively reduce the power consumption of the electric power system, enhance the distance , the stable and firm structure makes the skateboard more durable. 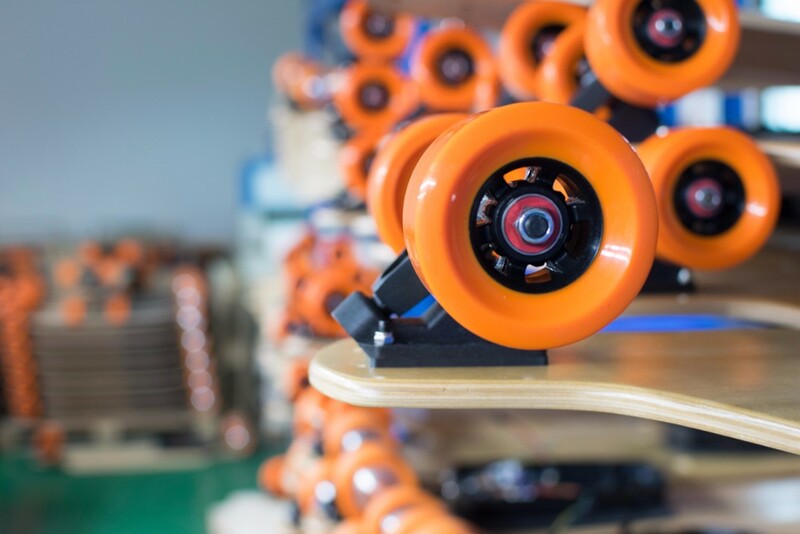 In order to solve the risk of biting wheel after replacing the large-size motor wheel, we designed a large recess at the beginning of the plate-type development and can easily make a large-angle carving. 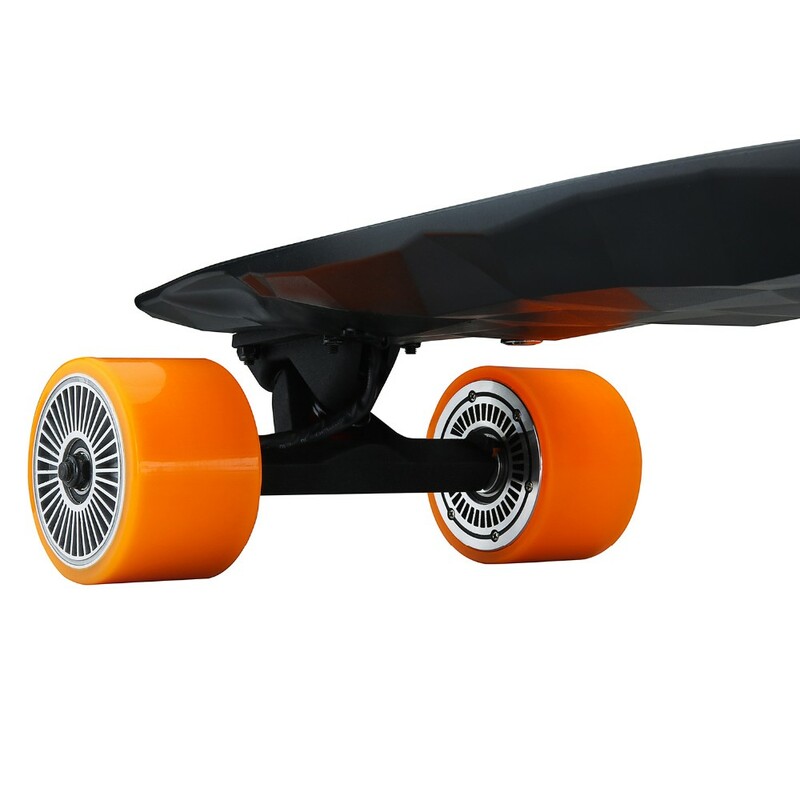 A, The Max 2 choose an integrated board that hides motors, batteries, and circuit boards. You don't even see any wires exposed. 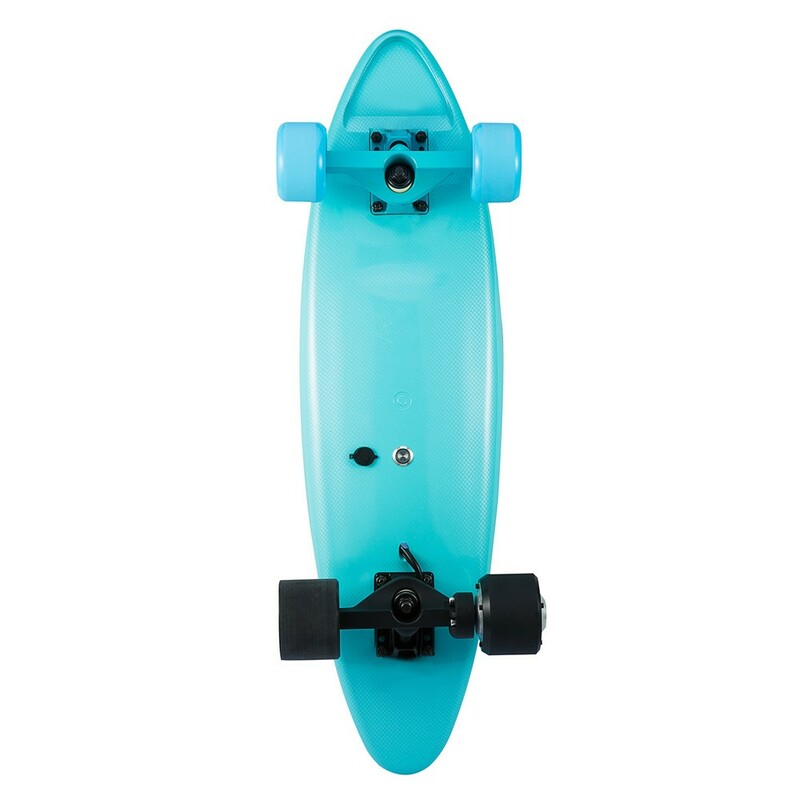 This is our ultimate interpretation of the most beautiful electric skateboards. 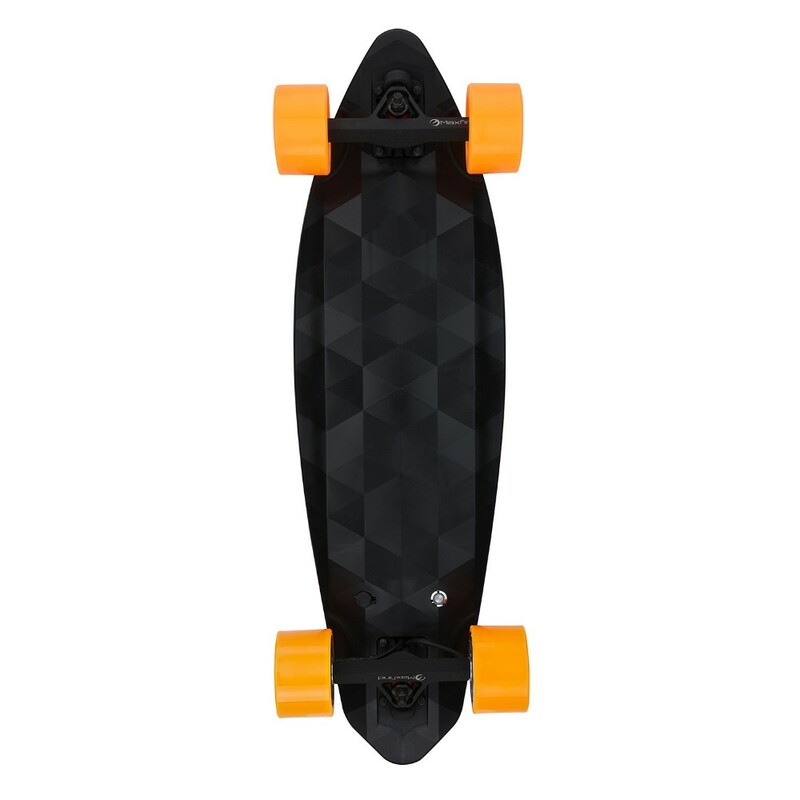 B, Design of the product bottom , adopting triangles with different angles , As we know , triangle is the most stable structure in the mathematics , This is also a reflection of the fact that we have made the board more rugged and durable . 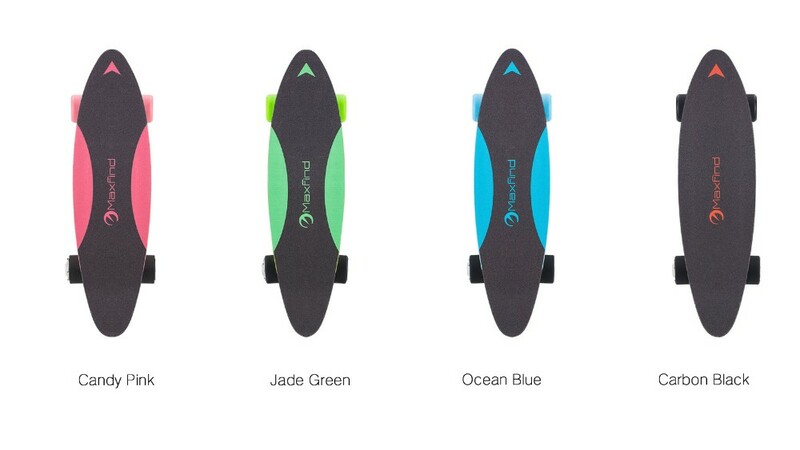 when viewing from different angles , the colors showing on board are all different . 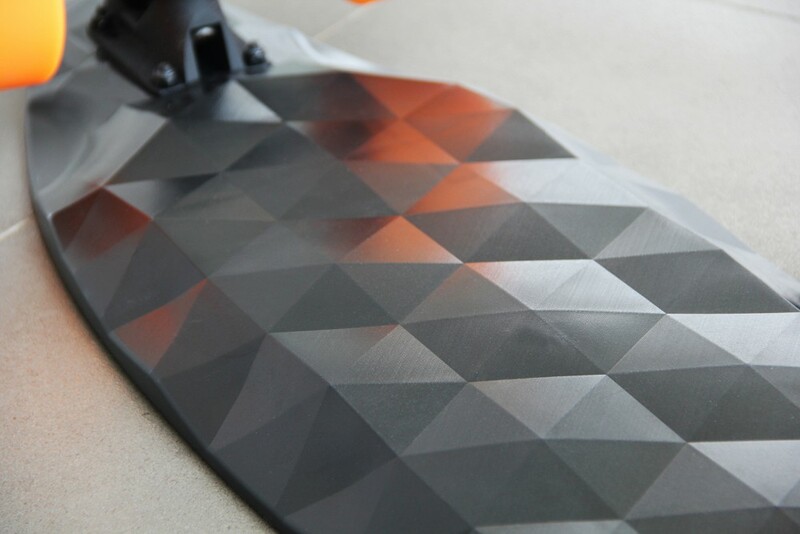 C, Panel sandpaper adoptting a color hitch design , we are the first to use PVC and PEA synthetic material for our sandpaper , In the case of non-slip protection, the risk of being scratched by sandpaper is greatly reduced, and it is one of the safest sandpapers on the market. 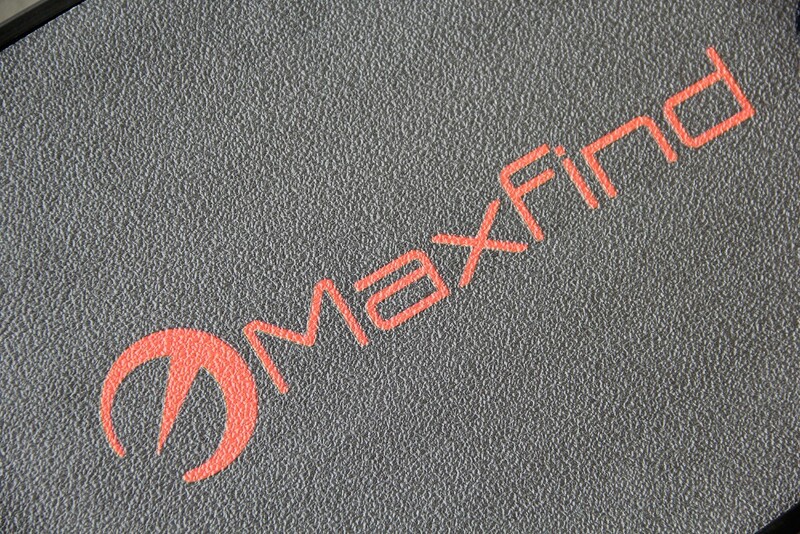 MAXFIND represents the highest safety standard and the coolest play-ability in the Personal Transporter industry. 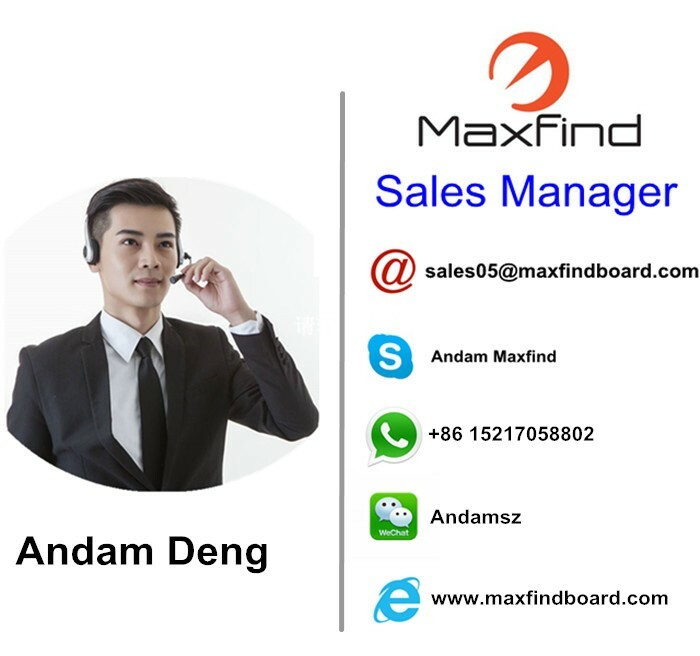 Maxfind is a high-tech company with combination of reserch and development, manufacture, domestic and international marketing. We have been focusing on R&D and manufacturing on transportation & traveling tools more than 4 years. Maxfind is mainly focusing on Personal Transporter since 2015. 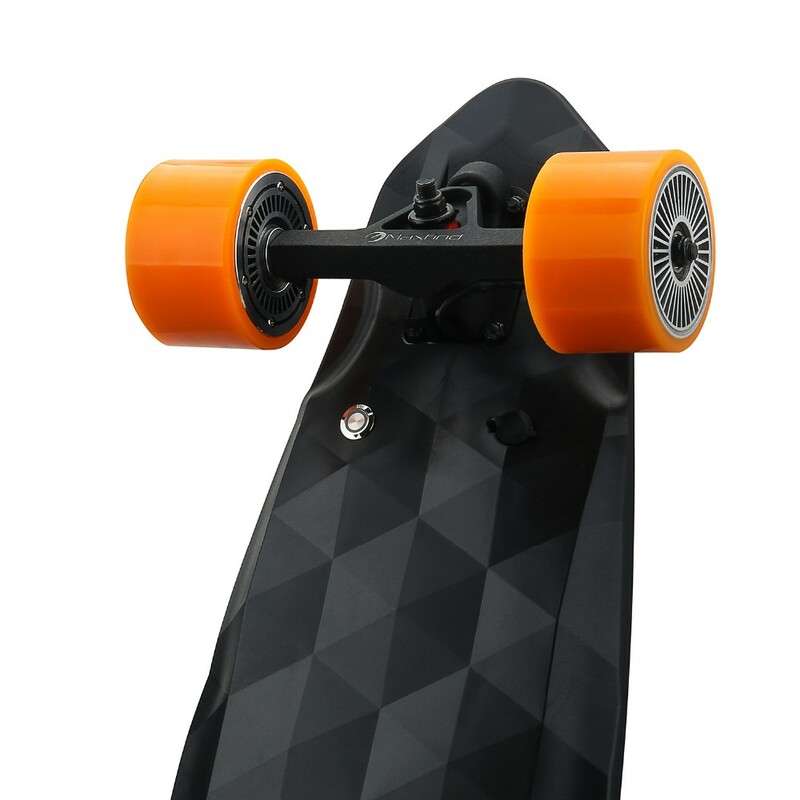 Product range includes 4-wheel electric skateboards, electric bicycle, 2-wheel self balancing scooters and etc. 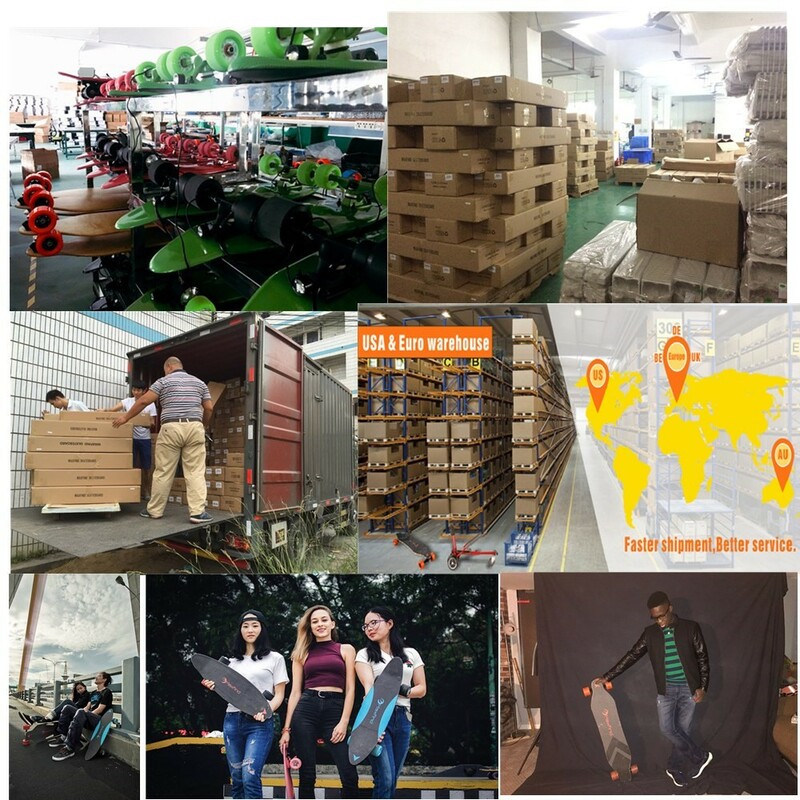 we have a wealth of experience and high level of technology in manufacturing electric scooters and electric skateboards etc. Our product use safe and environmentally friendly power supply which reduces less dependence on oil. 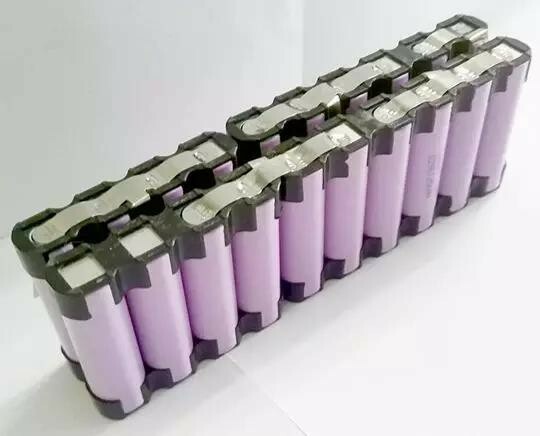 Most importantly, all suppliers that we cooperate with are the tops in their industries, such as Huawei cooperative suppliers, Samsung Battery, Hanghong Motor. In this way, we can ensure the quality of our products. 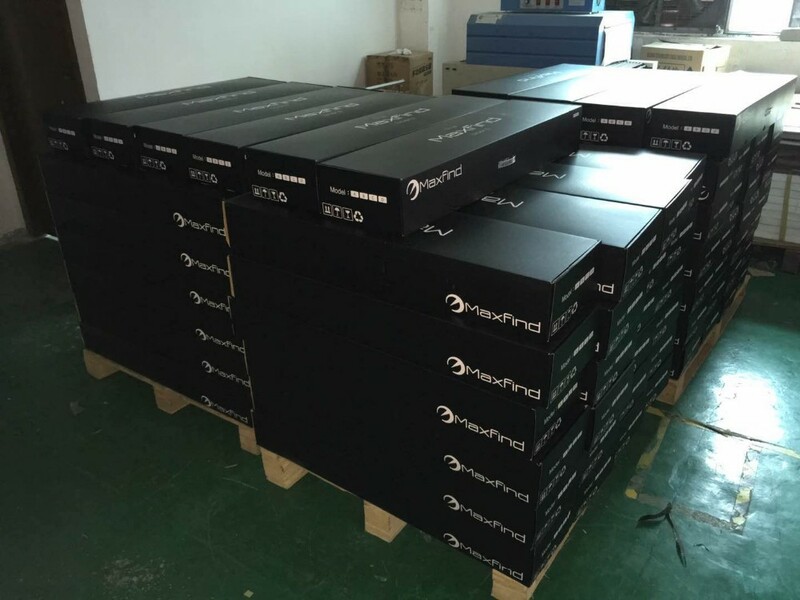 To ensure a high quality standard, Maxfind only cooperate with the tops supplierin their field,Samsung Battery, Hanghong Motor, some of them even are golden supplier of HuaWei. 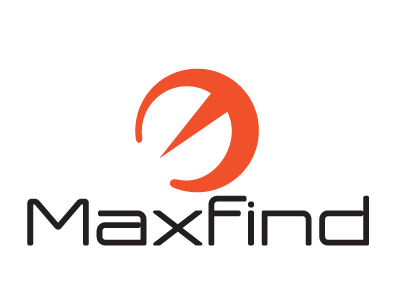 Maxfind has got 2 invention patents and 8 Utility Model Patent and we are on the way to be better and better. 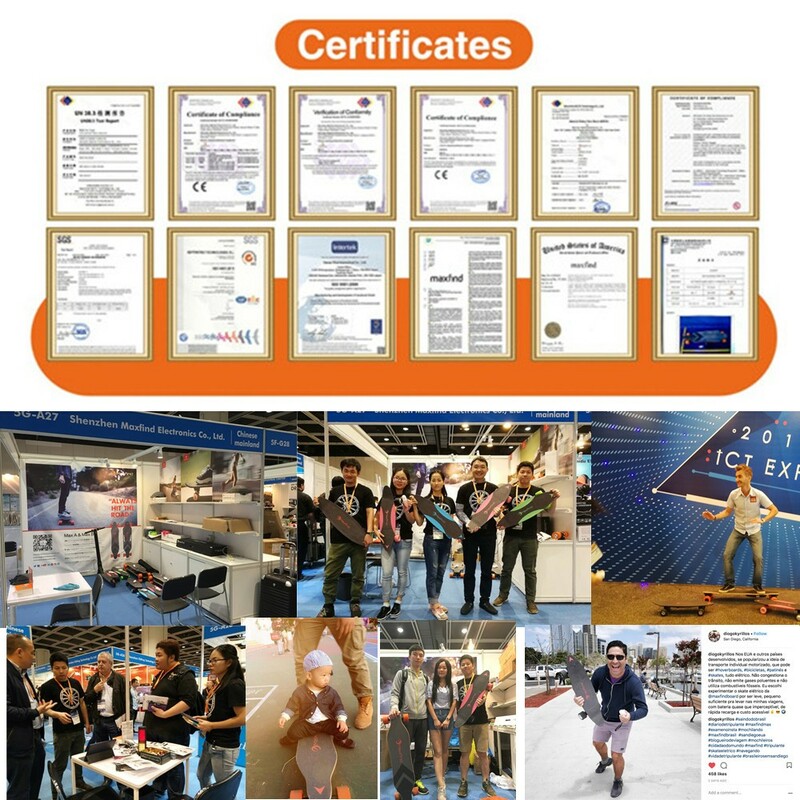 Since now, Maxfind owns invention patents and 8 Utility Model Patent, and all the Maxfind products are CE,FCC,ROSH,SGS certified. 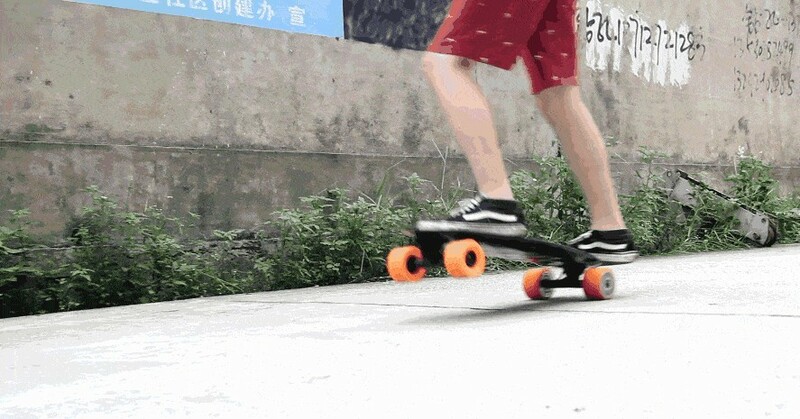 Meanwhile, the skateboards and bicycles are not only tools but also our big toys everywhere can be seen on the road, in the park, in the supermarket and on the beach bringing convenience & joys to everyone. 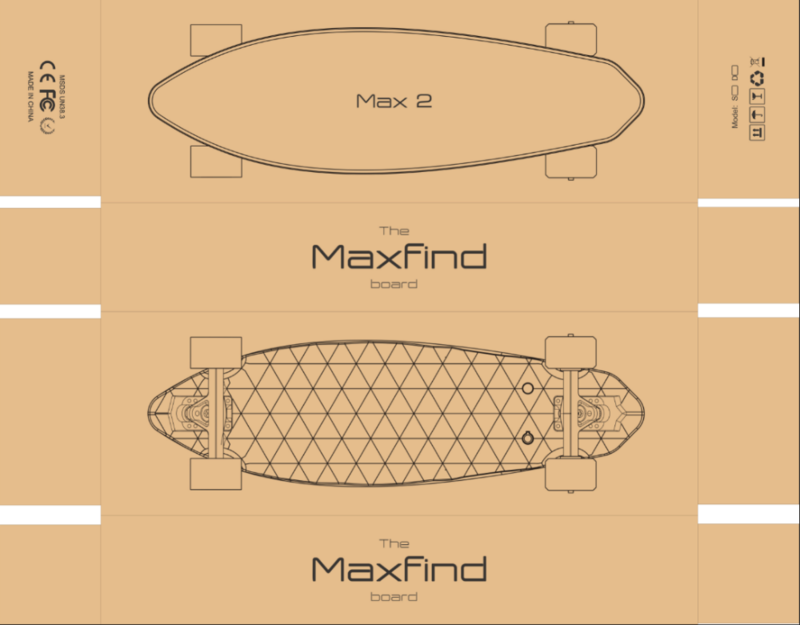 Maxfind alwasy strive for more convenience and cooler life. For us, the coolest life is just an environment Friendly transporter. 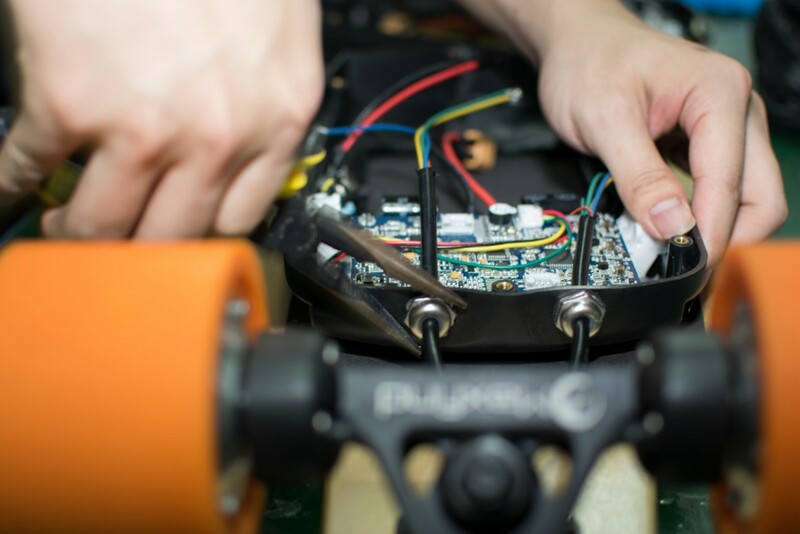 MAXFIND, located in Shenzhen China, with 5 dust-free production lines & 6000m^2 workshop area, specializes in R&D and manufacturing electric boards. Together with more than 20 engineers, 12 designers, 20 salesperson and 250 workers, our weekly manufacturing capacity reaches 4000-6000pcs. We sincerely welcome friends from all over the world to visit our company and cooperate with us on the basis of long-term mutual benefits. Maxfind's factory is located in Shenzhen, with 5 dust-free production lines & 6000m^2 workshop area. Besides, we own 12 designers, 20 salesperson and 50 workers. All of these will support a high capacity( 4000-6000pcs ) and best warranty. If you want to cooperate with one company which owns experienced factory and has a strong R&D team, MAXFIND will be your best choice. Our research and development team has grown to 30 people and it is continuously increasing. We have strong technical strength and self develop new products by our own factory. We have passed tests from the market and have been given good feedback from our customers and friends. Maxfind always strive to lead the market. 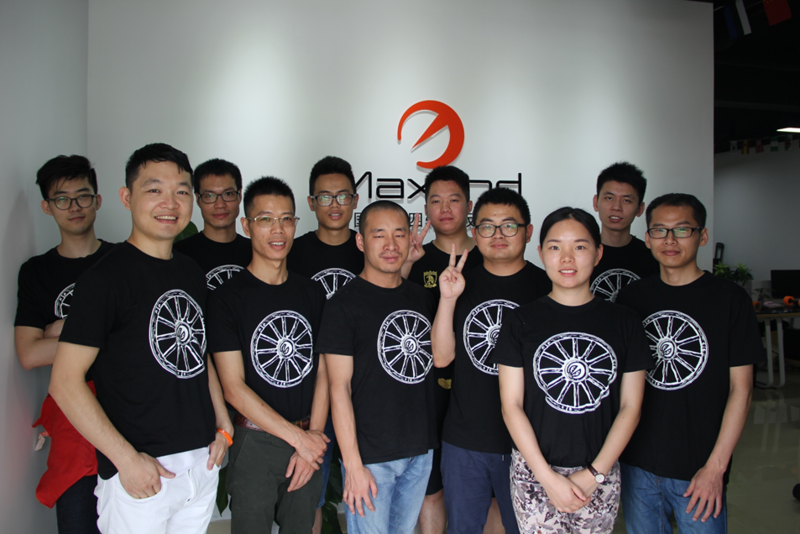 Not only provide a professional technical support,what's more, Maxfind's R&D team,which more than 20 engineers is already working on next generation personal transporter. We have warehouses and repair centers in US, DE, BE, UK, AU to provide you products in a very short period of time and do after-sales service for you.